Owner and winemaker Byron Kosuge was born and raised in the Central Valley town of Davis, California. The first fifteen years of his winemaking career were spent making wine at Saintsbury in Carneros, where he established himself as a Pinot Noir and Chardonnay specialist. After leaving Saintsbury in 2001, Byron assumed winemaking duties for several small projects, including Miura Vineyards (where he still consults), McIntyre Vineyards and Aiena Wines, all in California, as well as, more recently, for our very own Kingston Family Vineyards in Casablanca, Chile. 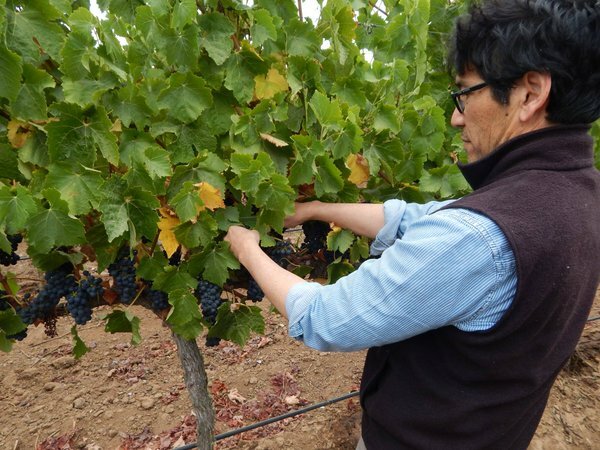 His own label, B. Kosuge Wines, focuses on Pinot Noir, Chardonnay and Syrah from several different sites in the Sonoma Coast, Carneros, Mendocino and the Russian River Valley.